Our compliance and approvals services are design to assist project proponents with the environmental regulatory issues. At the pre-planning stage, to design and construction, and facility operation, Geofirma support and regulatory expertise will help. Whether for temporary dewatering during construction or for long-term dewatering of pits and quarries, a Permit to Take Water (PTTW) under Ontario Regulation 387/04 is likely required. PTTW Applications vary in complexity, and for larger takings over longer durations, must be supported by hydrogeological and hydrological studies, modelling, and impact assessment. We offer an efficient no-nonsense application package, and have the depth of resources to tackle even the most contentious dewatering problems. Geofirma provides a full range of professional services related to the complete life cycle of landfill sites and other waste management facilities. 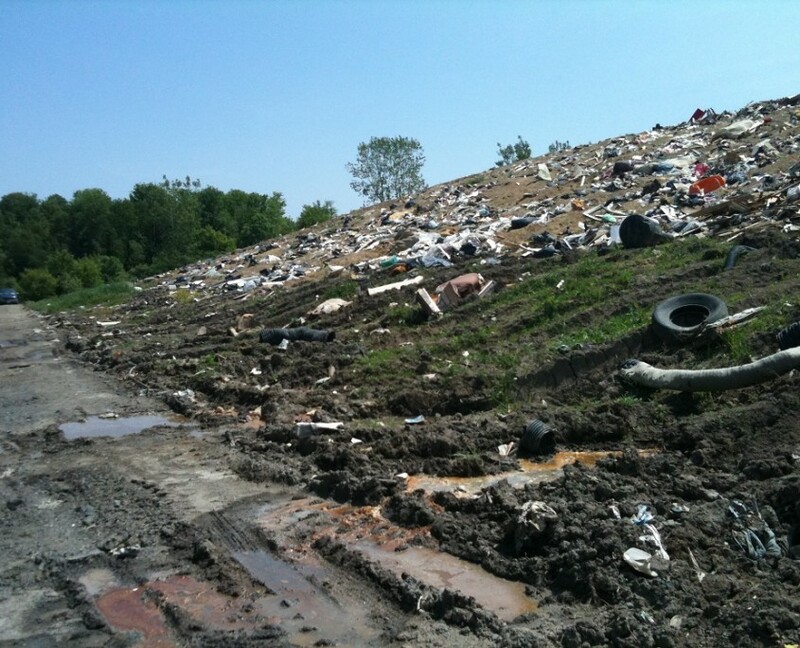 Our professional and engineering staff has expertise and experience in the siting, design, permitting, operation, closure and post-closure care of landfill sites. We have investigated and assessed proposed, existing and closed landfill sites for municipal, provincial and federal agencies as well as private sector clients. A record of site condition summarizes the environmental condition of a property based on the completion of environmental site assessments. If you are a property owner who wants to change a property use to a more sensitive use (e.g., houses on an old factory or dry cleaning site), you must have a record of site condition filed in the Environmental Site Registry first. Some municipalities also require the filing of a record of site condition for property re-development when a change in property use is not intended. Geofirma has an experienced team of professional engineers and hydrogeologists available to complete even the most complicated record of site assessment. Geofirma has extensive experience collecting potable water samples to evaluate for compliance against both provincial and federal standards and guidelines. Whether the water sampling is requested for due diligence to protect building occupants in a large federal government facility, for the protection of a municipal water supply or for a private well owner concerned about their water quality, Geofirma has the expertise to complete the sampling and provide interpretation and recommendations based on the results. 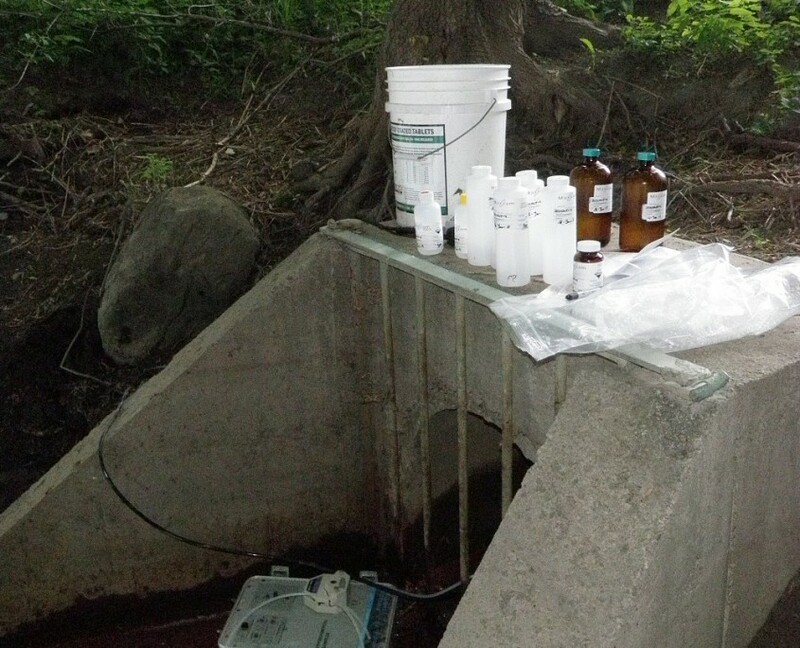 Sewer and effluent sampling is often required of industrial or commercial facilities to ensure compliance with municipal By-law limits for discharge into a municipal sewer system. Storm sewer sampling could be required to meet provincial standards for discharge to the environment. Onsite septic systems are also potential sources of contamination and may require sampling to ensure compliance. 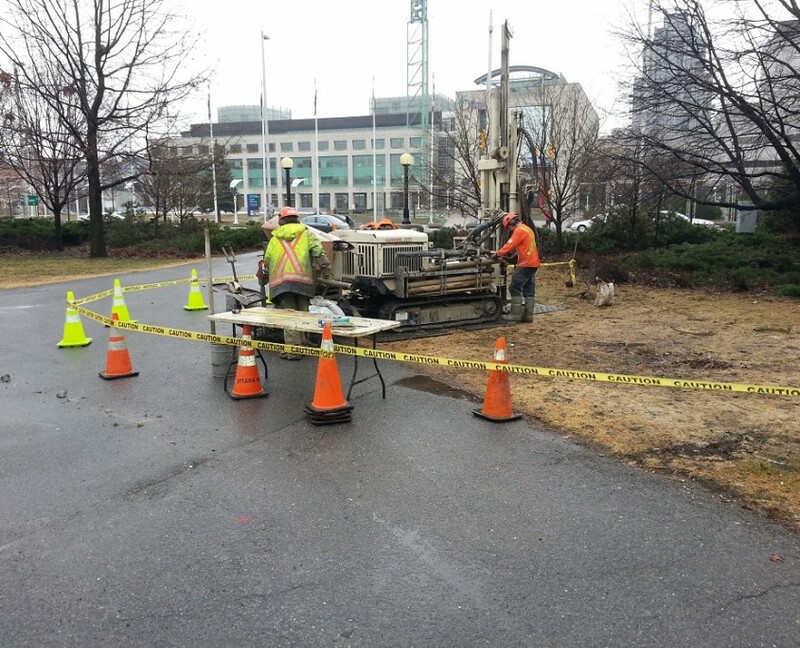 Geofirma has extensive experience collecting sewer and effluent samples to evaluate for compliance against municipal, provincial and federal standards and guidelines. Geofirma has the experience and expertise to evaluate the results, identify potential problems and recommend solutions to get your facility in compliance with the applicable regulations.